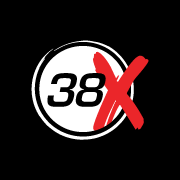 Start taking classes at 38X Fitness and other studios! There are no upcoming “METCON” classes on this day. Make sure to come early to get a heart rate monitor! Bring a towel and water. Insufficient warm up and cool down. Poorly planned, poorly instructed, PT professional. A sure change from past experiences. Dave is an amazing trainer. The class is fun and clear directions are always given. He notices when you're slacking off and gives you a little encouragement to keep going. Great class! Awesome sweat in only 30 mins. Will definitely be back.